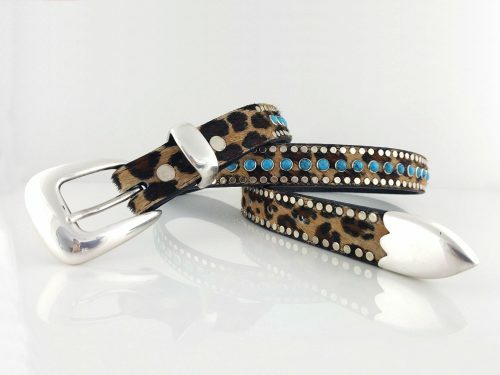 All Turquoise belt in Italian leather and baby leopard cow hair from Brazil. 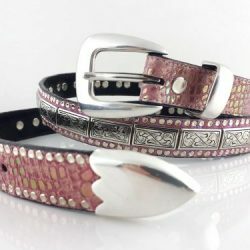 These amazing leather belts have both a contemporary and Southwestern flair. 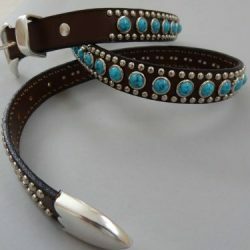 Gorgeous Italian leather, turquoise ornaments and nickel plated nail heads make these handmade made belts, dog collars and leads a really standout. 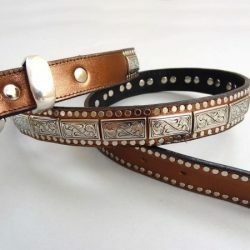 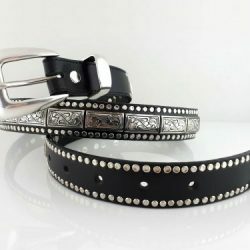 This gorgeous handmade leather belt also has a matching dog collar and lead!